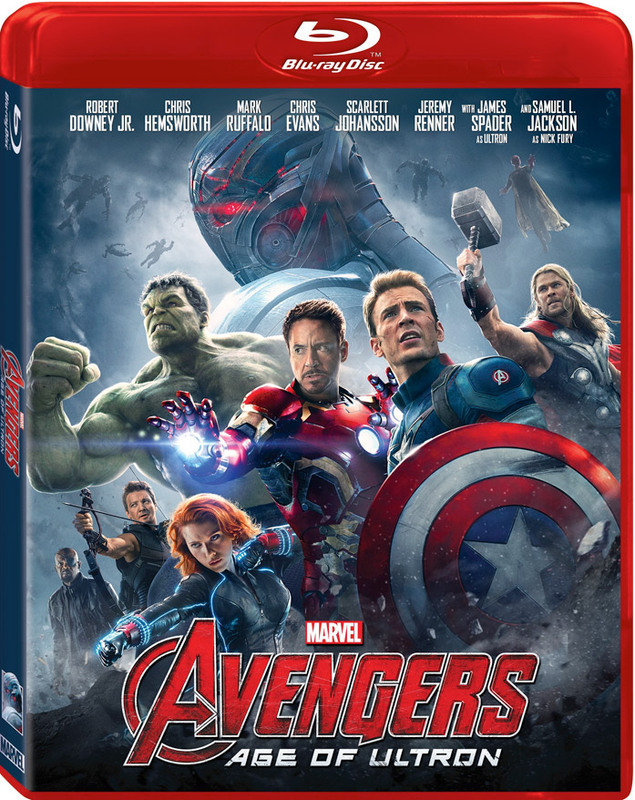 Walt Disney Studios Home Entertainment has revealed the release date, details and cover artwork for Avengers: Age of Ultron coming to Blu-ray 3D Combo Pack, Blu-ray, DVD, Digital SD/HD, On-Demand and Disney Movies Anywhere. Avengers: Age of Ultron will arrive on Blu-ray 3D, Blu-ray, DVD, Digital SD and On-Demand October 2, 2015 and is now available for pre-order at Amazon.com. Get it early on Digital 3D, Digital HD and Disney Movies Anywhere September 8, 2015. You can view the cover art and bonus features below. In Marvel’s Avengers: Age of Ultron, iconic heroes are forced to reassemble and face their most intimidating enemy yet – ULTRON. Pushed to the brink of their physical and emotional limits, the team must recruit both new heroes and familiar allies to face an escalating danger that threatens the entire planet. Marvel Studios’ superhero adventure stars Robert Downey Jr., James Spader, Mark Ruffalo, Chris Evans, Chris Hemsworth, Scarlett Johansson, Jeremy Renner, Samuel L. Jackson, Cobie Smulders, Paul Bettany, Elizabeth Olsen, and Aaron Taylor-Johnson.